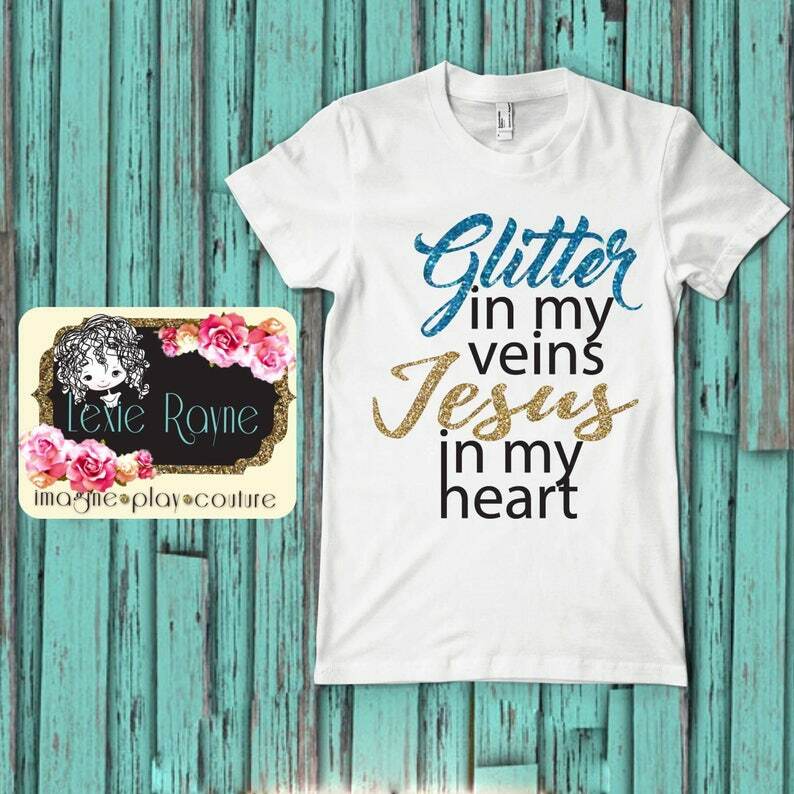 Glitter In Her Veins Jesus In Her Heart Shirt. High quality vinyl applied with a professional heat press. 100% cotton shirts.